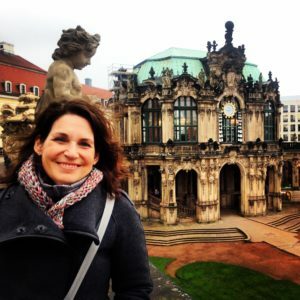 Melanie has traveled to Asia and Europe to explore ancient and contemporary porcelain production of the East and the instilled taste for prestigious white and translucent tablewares of the West. 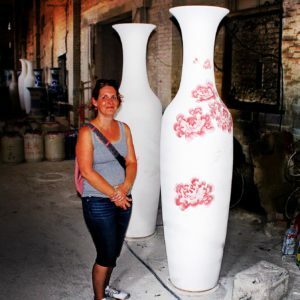 She has been a resident at the International Ceramics Studio in Kecskemét, Hungary where she studied with the renowned Latvian ceramic artist Ilona Romule and deepened her love for designing with plaster and detailed china-painting. As a resident at The Pottery Workshop in Jingdezhen, China she developed her own designs with skilled local craftsman into a new body of work, exploring the relationship between the cultures, and how they continue to connect and influence each other through the ceramic arts. Melanie has been a resident at The Archie Bray Foundation in Helena, Montana, Anderson Ranch in Snowmass, Colorado and Charlotte Street Foundation in Kansas City, Missouri. Melanie has exhibited her work internationally, including Hungary, Canada, and America. She was awarded the 2014 Regina Brown Undergraduate Fellowship from the National Council for Education of the Ceramic Arts (NCECA) and the 2014 Windgate Fellowship Award by The Center for Craft, Creativity & Design.